Patterson Hood’s third solo record, Heat Lightning Rumbles In The Distance, will be released on September 11th on ATO Records. 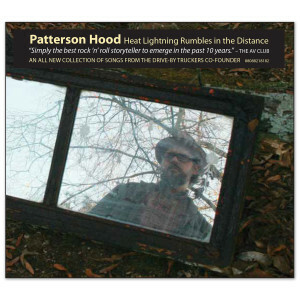 Hood co-produced the album with long time Drive-By Truckers’ collaborator David Barbe, who also plays bass on the album. All of his DBT band mates make appearances on the record (Mike Cooley, Jay Gonzalez, Brad Morgan and John Neff) as does Scott Danbom and Will Johnson from Centro-matic and Kelly Hogan. Hood’s father, famed Muscle Shoals bassist, David Hood also plays on the record.